It's that time of year again...Valentine's Day is around the corner! Of course it's the perfect time to show your guy how much you love him, but how about giving him a gift that's as unique as he is this year. Afterall, the things that make him unique are what made you fall in love in the first place. His hobbies, style, likes, wants and dreams all go into what makes him special and loved by you. Enough with the candies! Why do you want to buy him the same thing as everyone else? This year, skip the standard valentine gifts and spring for something your guy will really love. The following Valentine’s Day gift guide is for the special adventure-seeking guy in your life. Below you will find items that will help continue his adventourous ways, a handy tool, and a few little luxuries he has yet to purchase for himself that will be much appreciated. With dimensions close to that of a queen size bed, this hammock comfortably fits two making it a wonderful addition to your next camping trip. It's made in the USA, comes with a lifetime warranty, and each purchase supports sustainable change in Kenya through CTC International. 86% of the 142 reviews are 5 stars so it's well liked. One comment reads, "Tried this on a weeklong backpacking trip. I must say this hammock is one of the most comfortable hammocks I've ever rested in. This hammock held me and my girlfriend both with no problem." The reviewers do recommend buying these straps with it for easy set up. Connect a Tile to the items you misplace most often and you will always be able to find it with your phone. If the phone is the item that gets misplaced, double click on the Tile and your phone will begin to ring, even on silent. Stop the last minute morning panic when the keys can’t be found and you’re late out the door. Simply press a button, find your things, and get out on time. If your guy travels a lot, either for work or pleasure, noise cancelling headphones are a modern luxury he deserves. Save him from engine noise, crying babies, and his talkative seatmate with these wireless headphones. Great sound and less than half the price of Bose. This reviewer sums it up best, "Great headphone. The sound quality is excellent, and it has all the features that I wanted: bluetooth and wired connection, active noise cancelling, very comfortable for the ear, carrying case, airplane adapter." Oh yea, there's an adapter for airline travel should you need it and they have a max battery life of 16 hours, which should get him to most destinations and back to you happy. This 5-in-1 survival tool comes in a set so there is a backup should you need it (or want to wear one yourself). The band is adjustable so it should fit well enough to be part of his EDC gear of choice. The ultra-strong, military-grade 550 parachute cord provides unmatched power while the fire-starter, emergency blade, compass and whistle provide the versitility he'll appreciate. "Love this for my active outdoor family! We love to go camping and hiking. This is a great tool to have along!" - 5-star reviewer. If your guy is in need of a little manification, help him bring out his inner James Bond with this book. With tips ranging from how to jump start a car and select a good cigar to learning the elements of a basic bar and how to negotiate, it will become a handy guide to help your man handle any uncomfortable situation with confidence. And if you're hoping for a ring soon, there are even sections on picking out a diamond and how to propose...just sayin'. 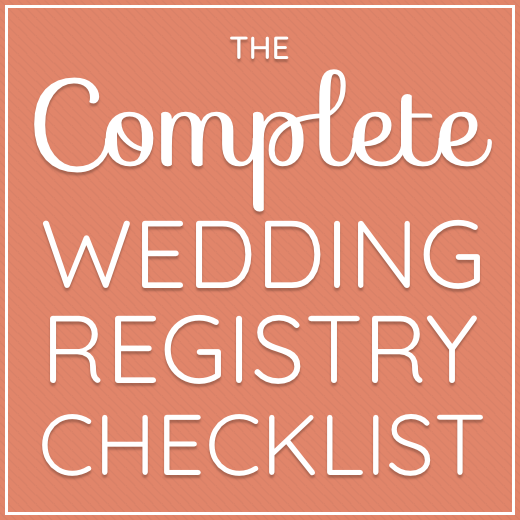 Get the latest posts delivered right to your inbox and receive a free copy of our Complete Wedding Registry Checklist!